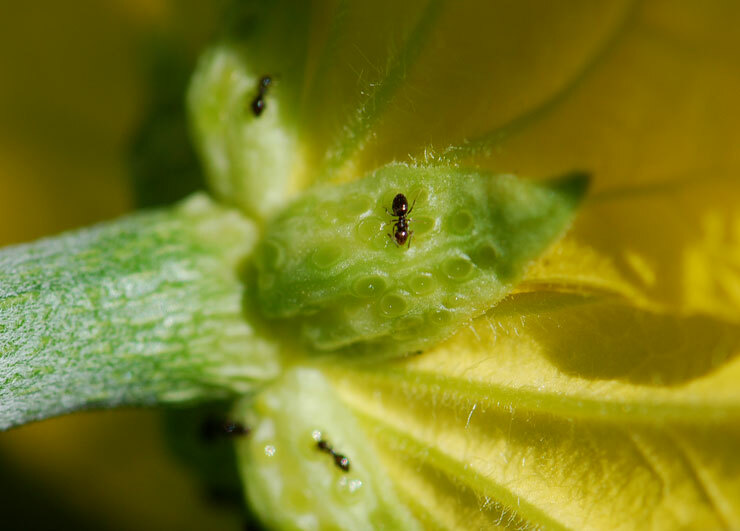 Why were the ants on the underside of the flower in the last photograph of that post? 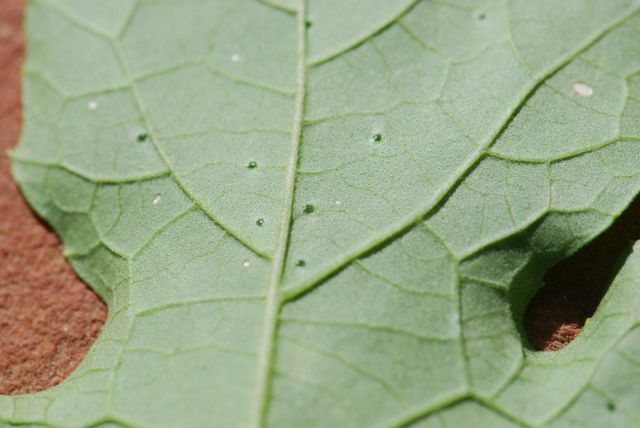 It turns out that the luffa plant has been crawling with rover ants, even before it started to flower. 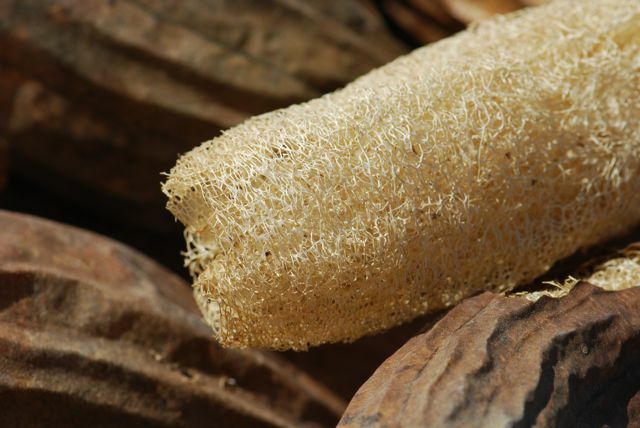 For a clue, let’s look at the underside of the luffa leaves. 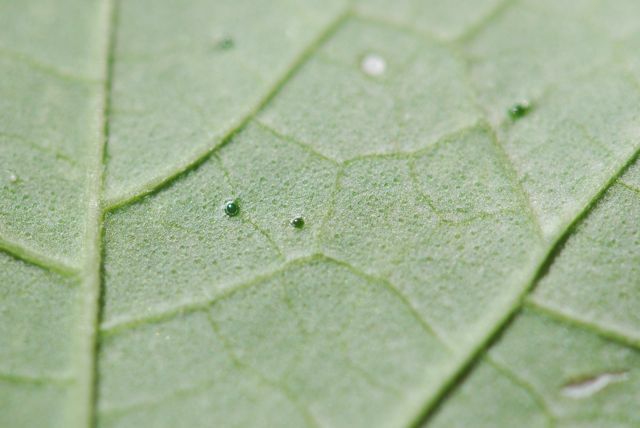 What are those green bumps on the leaf surface between the veins? 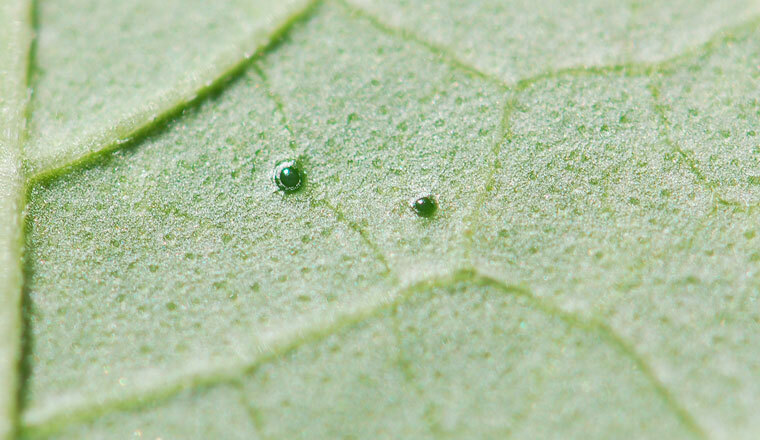 You might wonder if they are the leaf openings called stomata, but the stomata are the smaller dots. Close up the bumps look like tiny green volcanoes. Like the nectar produced in the floral nectaries, extrafloral nectar is a liquid solution of sugar in water, with trace amounts of amino acids. 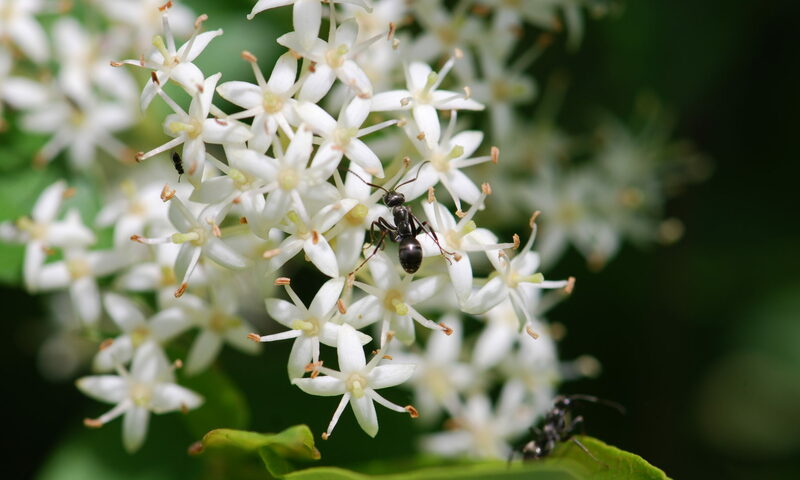 The nectar attracts many different kinds of insects, but ants are often the most common visitors. 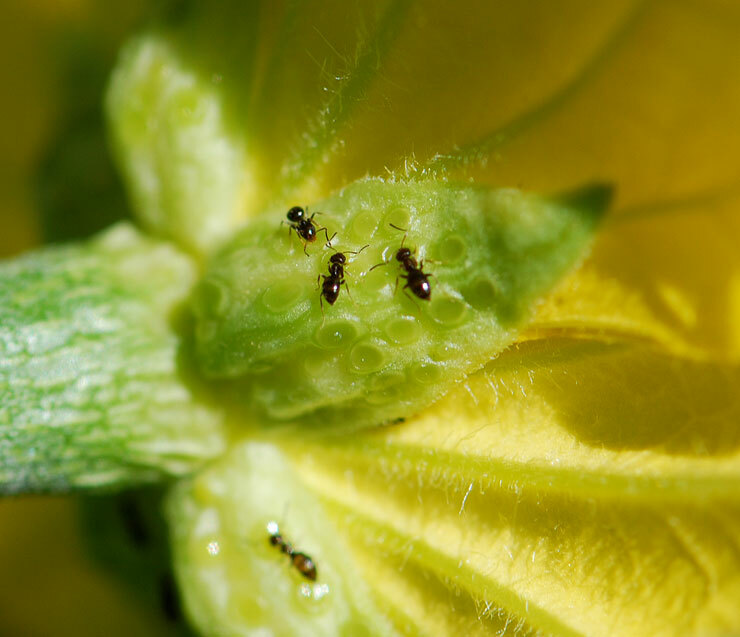 The ants often chase away or capture plant-feeding insects, thus protecting the plant. This means we can add luffas to the list of plants that might be useful for gardening for ants. Have you seen the journal Asian Myrmecology? Currently the articles are offered for free online at the website.